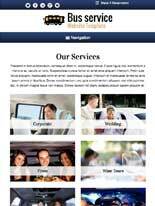 With a sleek, professional website for your transportation company, you'll reach more clients and convince them of your reliable service. 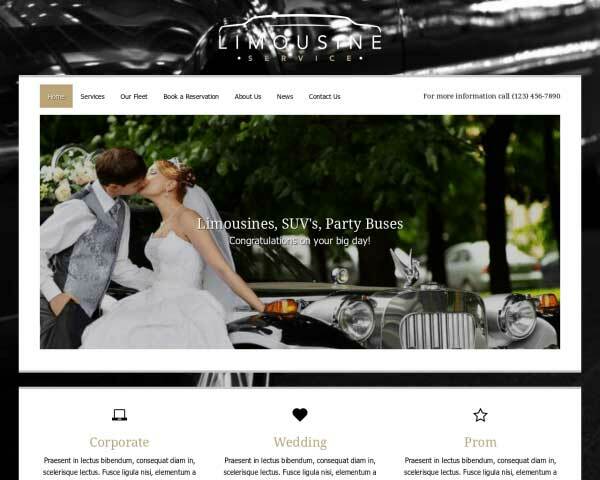 Make a great impression online with the Bus WordPress Theme, already set up with everything you need to get your new website online fast! 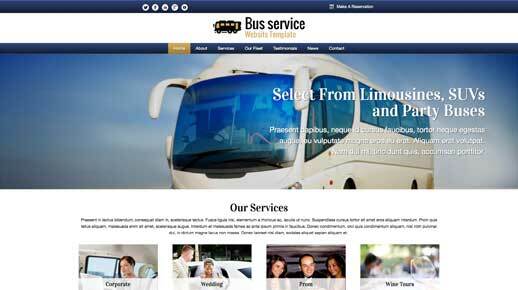 The Bus WordPress Theme is made for taxi services. This pre-built website template is designed to get your site online fast just by replacing the demo text and uploading your own photos, but you'll be amazed by how much you can easily change to make it your own. Add or remove pages, customize contact forms, rearrange pages layouts and personalize the color scheme with just a few clicks. No coding skills are required thanks to our unique front-end editing tool and drag and drop widgets. 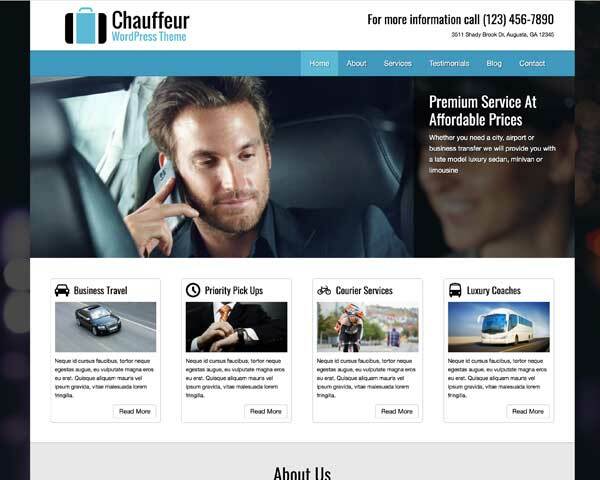 Create a professional, trustworthy online presence for you taxi services with the Bus WordPress Theme and start attracting new clients today! 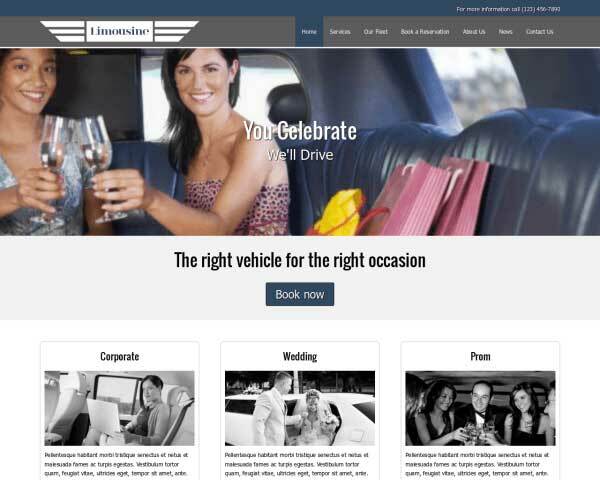 Customers coming in will be able to book online anytime with the Bus WordPress Theme's built-in reservations form. Easily customize the fields to suit your needs. 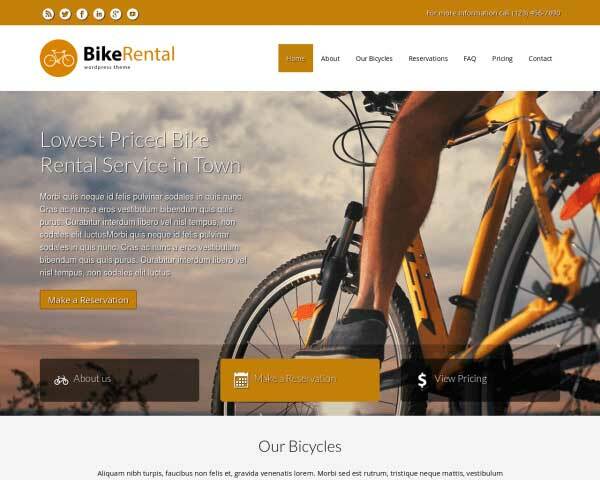 Showing website visitors the various vehicle options you have in store for them is an important part for any rental company business in this industry. Attractively display client feedback with the Bus WordPress Theme's quote widget. Just paste in your own text and the quotes will be automatically styled with no coding required. 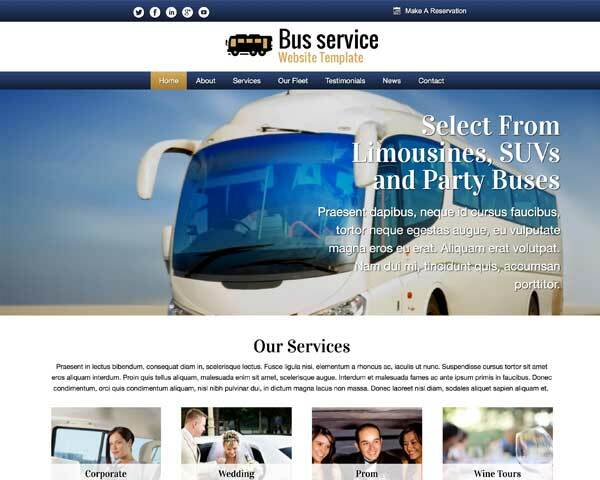 Take advantage of the social media options included with the Bus WordPress Theme to get the word out about your transportation company and attract new visitors online. 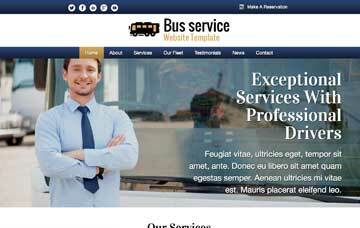 The Bus WordPress Theme has a build in About page where you can list you or your team. This is truly a must have if you want to add some more trust to your site. Although WordPress has moved away from being a straight blogging platform, the Bus WordPress Theme couldn't do without these powerful features. The feature-rich contact page on this WordPress theme for taxi drivers includes an integrated Google map and a built-in contact form. 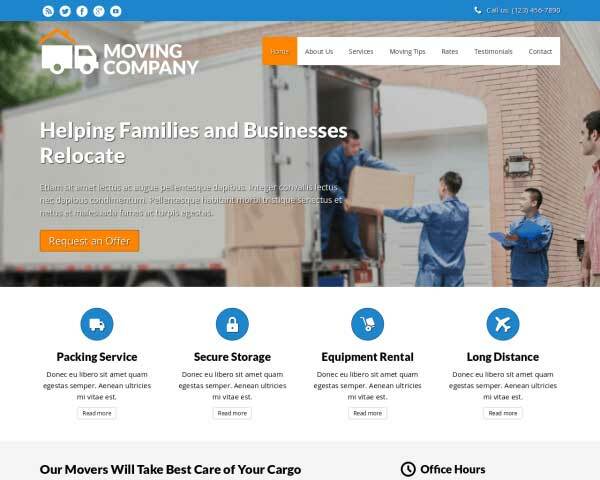 With a contrasting color and highlighted on the homepage and the sidebar, the Bus WordPress Theme contains call-to-actions that get noticed. 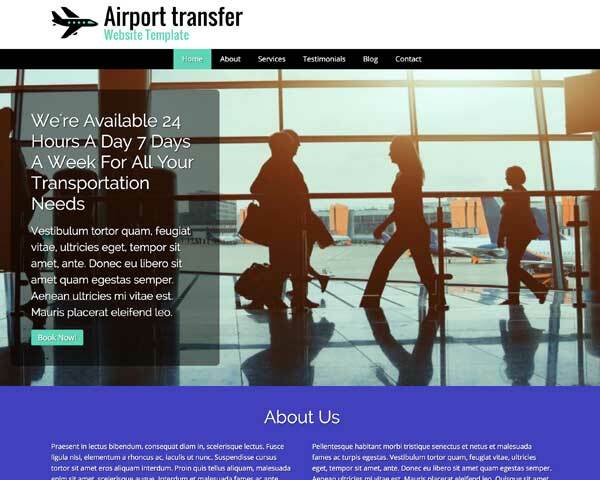 Using the responsive Bus WordPress Theme to build your website ensures that visitors will enjoy the same professional look and functionality of the desktop version on any mobile device. That's because this premium WP template is mobile-optimized, automatically adjusting the layout of your content to fit any screen size, no extra effort required! With our handsome, mobile-ready design, your property management website will reflect the efficiency and professionalism of your business.